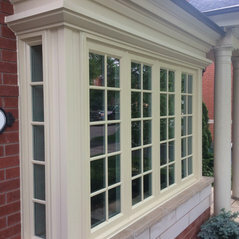 Delivering the best quality replacement windows, doors and installation services to homes in Toronto, Markham, Mississauga and Oakville since 1988 Why our customers select us for their home windows and doors projects: -An extensive 31 years experience serving Toronto, Markham, Mississauga, and Oakville -We offer a full range of high quality replacement windows and doors -You will receive a lifetime warranty on both our products and service -Our expert team has top installation expertise, so you continue to be happy with your choice for many years to come. -We have the design expertise to handle all your custom window and door requirements. -Our installation team includes seasoned carpenters so the installation looks as good in 10 years as it does in year 1. 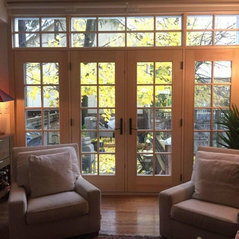 Our custom carpentry skills and trim work will leave your windows looking like a piece of fine-crafted furniture rather than an ordinary window. We offer custom aluminum capping options and we are industry leaders when it comes to the options and finishing for bay windows, bow windows and box bay windows. 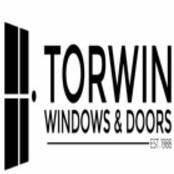 -We deliver top design skill, top quality products & caring craftsmanship at each step of your replacement window and door project. -Our reputation as a family owned business is based on our desire to deliver the best customer experience to you each time you work with us.